Today's Image of Mars shows the North Polar Region in late spring, as taken by HiRISE. Earlier in the year the ground was covered in ice, but now most of it has sublimated. The ice that remains is located in areas shadowed from the sun or in places where the ice built up and will take longer to sublimate. The easiest way to imagine those is by thinking of snow drifts on Earth, which may survive for weeks after all the other snow has disappeared. 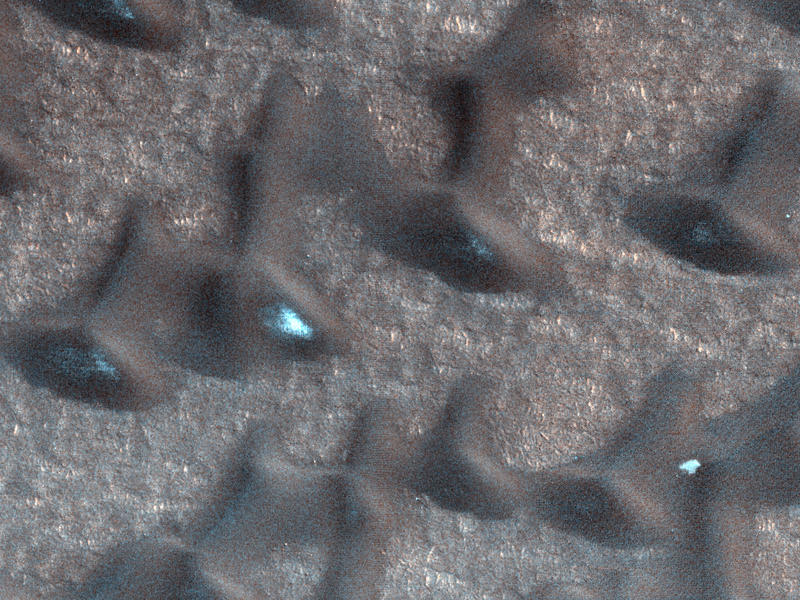 Clicking on this image will take you to the original captioned and larger image from HiRISE.